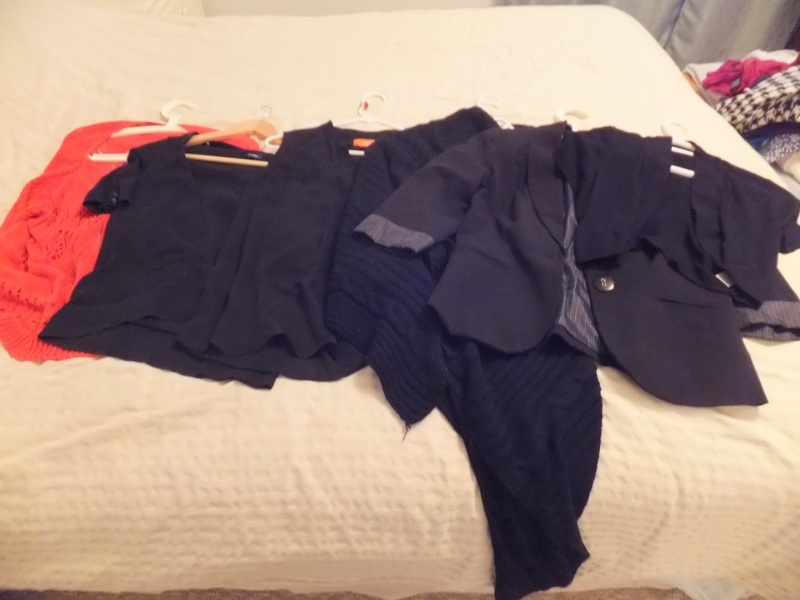 I dove into my closet this week. 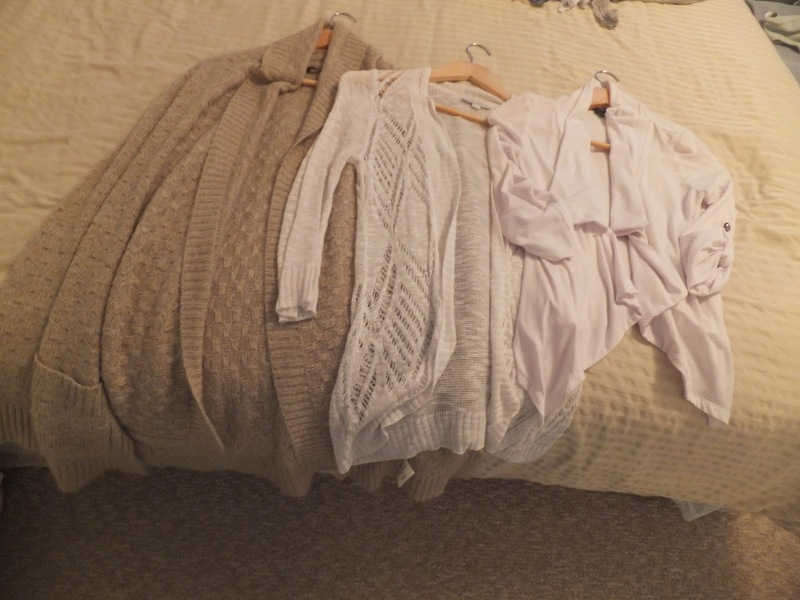 I decided to begin my purging with shirts and sweaters. I have been getting a pretty good feel for what works for me and what doesn't. I am currently breastfeeding and hope to continue to breastfeed until my daughter is a year old. I only want to keep shirts that work for this purpose. I didn't include my nursing tank tops in the pictures/purge because I wear them constantly. I often layer them under my other tops. I also didn't include my workout tops. I only own three and I don't feel that I need to pare them down. There were some shirts in the laundry when I did my clean out. I didn't worry about those shirts, as I obviously wear them. I donated most of the tops that I no longer want. 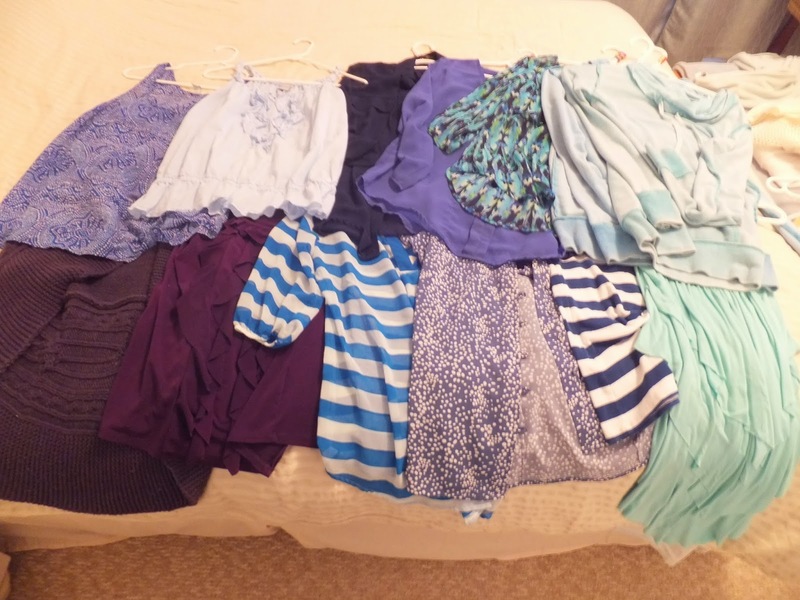 I put a few of the tops into my maternity clothes collection, as I wore them a lot in my pregnancy. 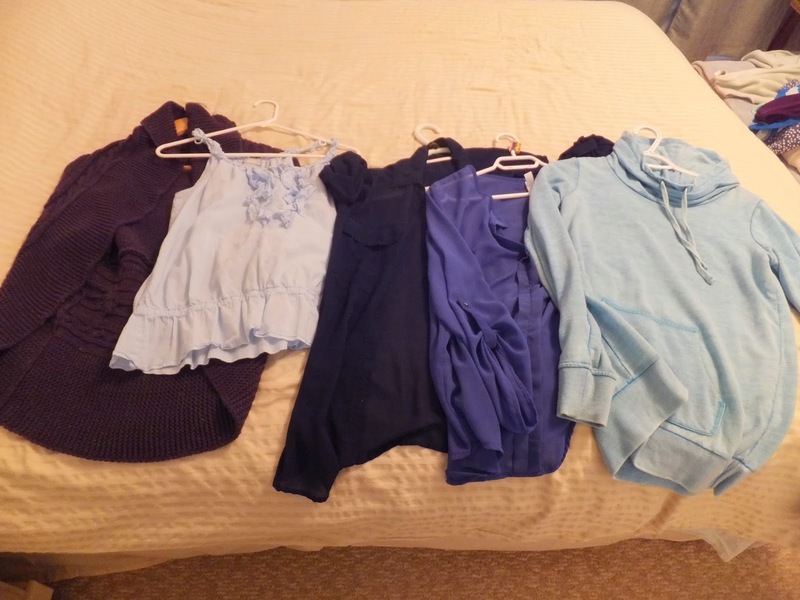 Hubby and I hope to have more children so I will hang onto the maternity clothes for now. 1.) Does this fit? Do not keep clothes that do not fit. The exception, of course, is when you are pregnant or when you have just had a baby. Those weight fluctuations are often temporary. Clothes that are too big or too small are not flattering. They are taking up prime real estate in your closet. Let them go. 2.) Do I like this? If you don't like the item or how it looks on you, don't keep it! I think that sometimes we hang onto clothes because they look good in theory, but not so much in real life. If something doesn't sit on you properly, has an odd colour or simply isn't your taste, let it go. 3.) Have I worn this in the past six months? With the exception of dress clothes and seasonal items, this rule should apply. 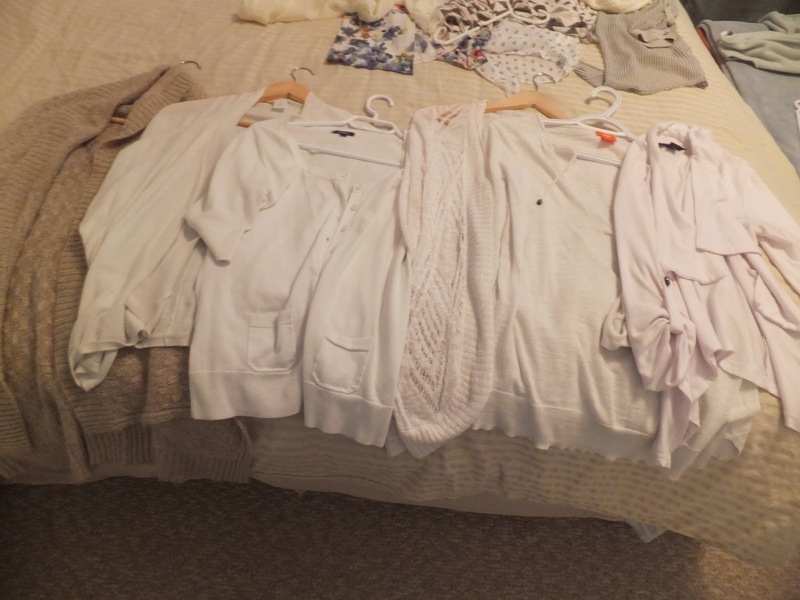 It is a pretty good indicator of what you like to wear. There doesn't have to be anything wrong with an item for you to choose not to wear it. Let the item go. Someone else can get use out of it. 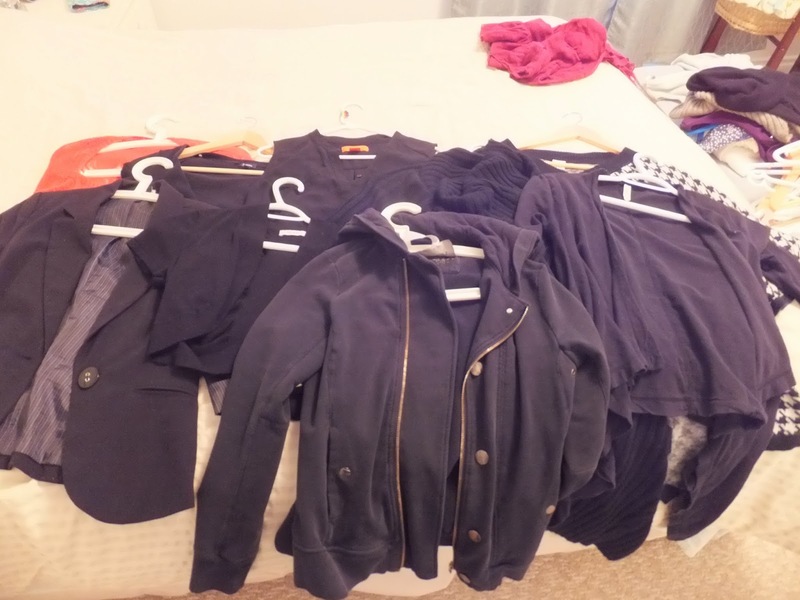 What are your rules when going through your closet? How do you decide on what to keep?